Line a colander with double paper towel and set over a bowl. 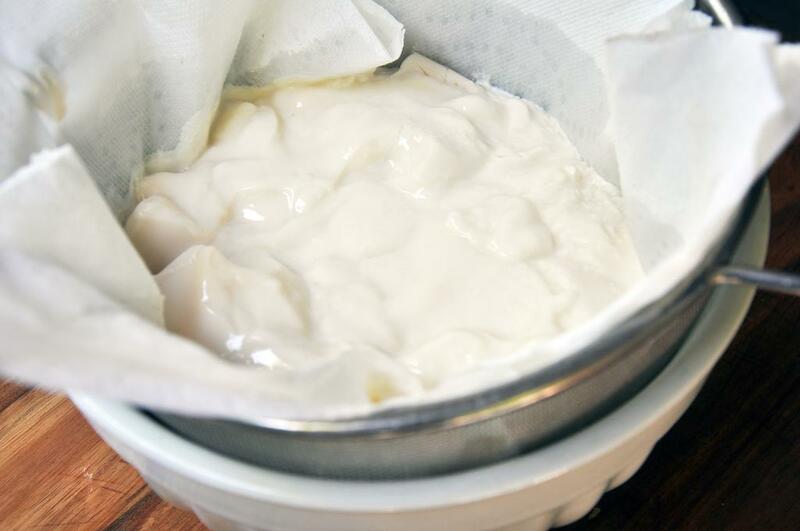 Spoon yogurt onto paper towel and let drain 90 minutes. In case you are wondering, the liquid in the bowl is whey. 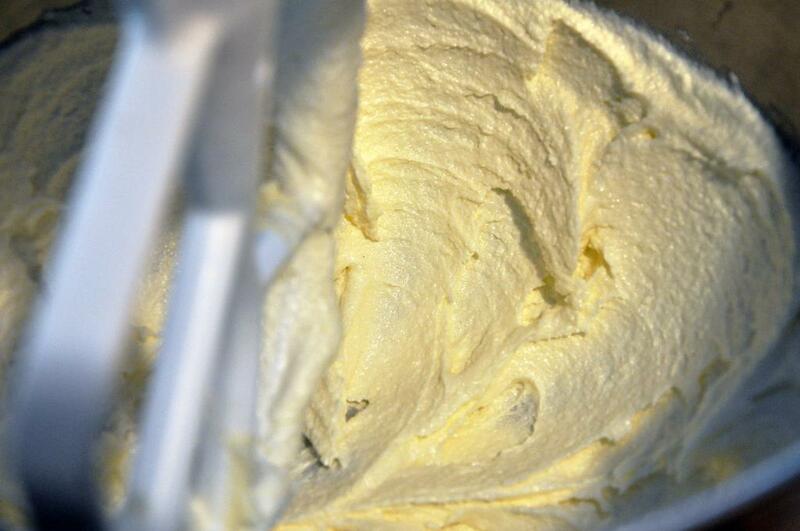 Meanwhile, cream butter and sugar with a mixer set on medium high speed for 4 minutes. 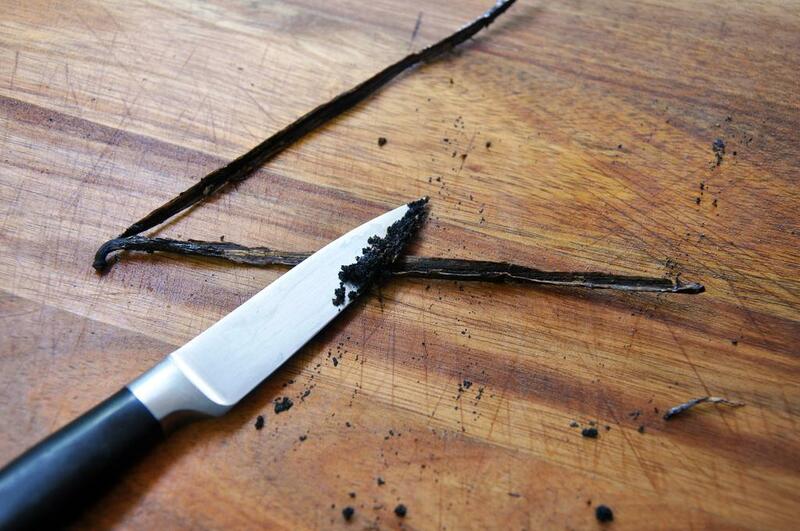 Add vanilla bean seeds, and mix one minute more. Add the egg, and do the same. Turn the speed to low and add flour, baking powder, and salt. Mix well and then add milk. 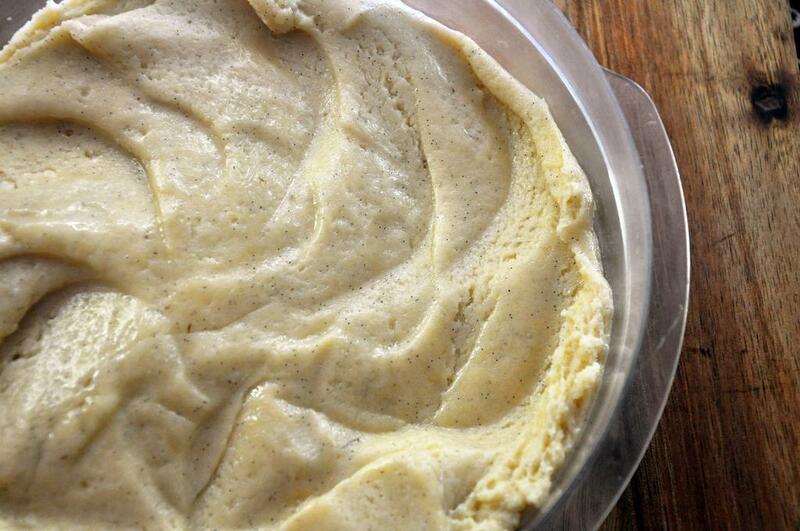 Turn dough out into a shallow bowl or plastic container. Cover and refrigerate at least one hour. When the hour is up, preheat oven to 350 degrees. Remove half the dough, roll out to 1/4" thickness and cut into 12 rounds. 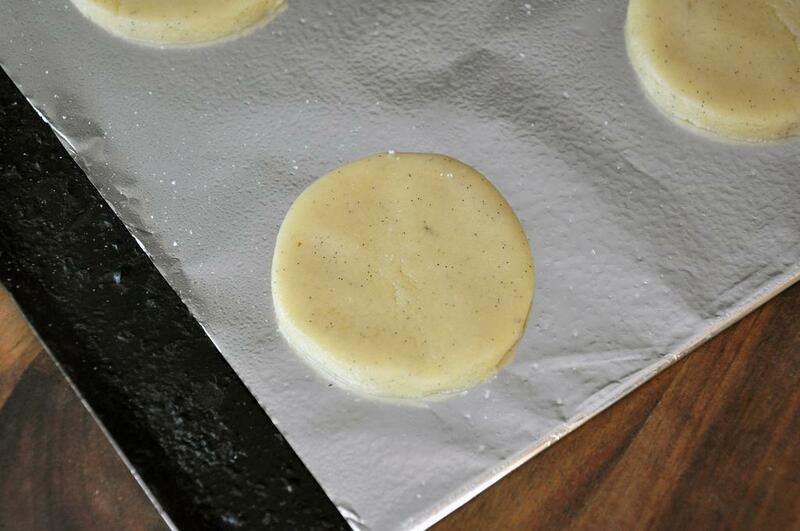 Place cookies on a foil lined-cooking sprayed cookie sheet. Bake 10-12 minutes until edges start to brown. Remove to a wire rack to cool. Use remaining half of dough for another use. 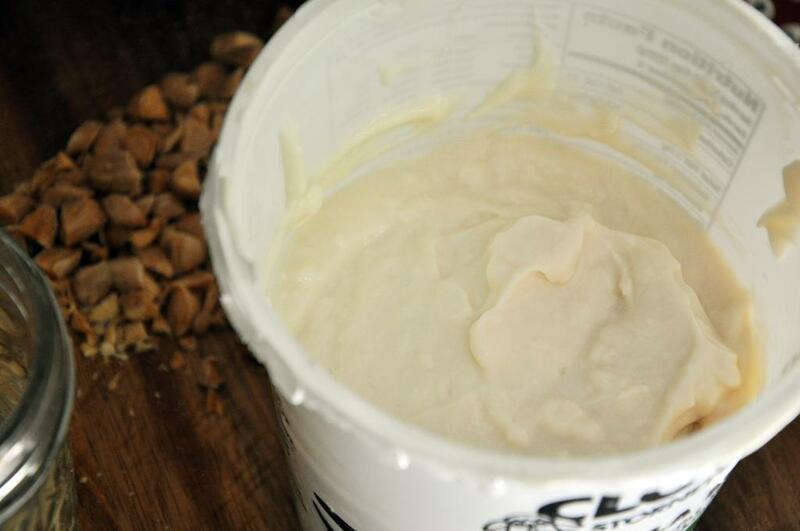 After 90 minutes, pick up yogurt in the paper towel and scrap off back into the yogurt container. The yogurt should mostly just roll off. 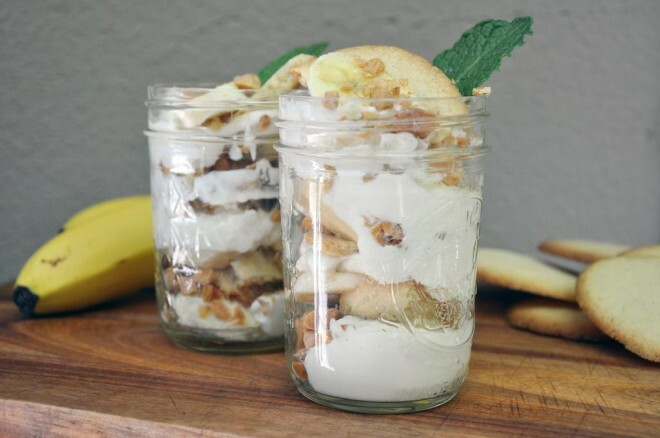 To assemble the puddings, layer banana slices, chopped almonds, cookie pieces, and strained yogurt. Each serving should have about half a banana, a few tsp almonds, two cookies and 1/4 cup yogurt.